15 hours of first-class continuing education from top speakers from around the U.S. and Texas! GREAT hotel rates starting at $102 a night! Attend Texas EMS Conference 2019 for the best education available and the latest in EMS services, supplies, equipment and vehicles. Learn from top educators while earning up to 15 hours of CE and see cutting edge technology at a fee that won’t break the bank! Join us in Fort Worth for Texas EMS Conference 2019! Conference attendees may choose from several options, including full-conference, Monday only, Tuesday only, and preconference classes only. Conference registration and preconference registration includes admittance to the Texas EMS Trade Show. 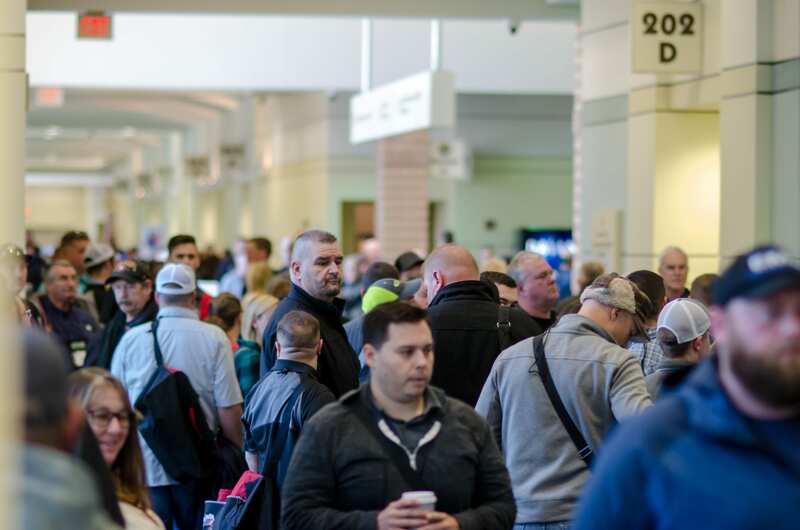 If you are not registered for the Texas EMS Conference or a preconference class, you will need an Exhibit Hall Pass to access the Texas EMS Trade Show. Online Registration: Click online registration to register using the online form. You may register multiple attendees on one form. Please fill-out the form exactly as you want to be identified on the conference name badge, which should be worn at all times during the conference. By registering you accept our Terms & Conditions for attendees and agree to have your likeness reproduced in publications. Conferees assume all risk incidental to participation in all activities, including loss or damage to property, and release management, its employees and agents against all claims. Payment Options: Conference registrations and preconference classes may be paid for by credit card, check, or purchase order. Credit card – Payment is accepted online or by phone. After October 21, 2019, payment by credit card is the only payment option available. Check – Payment is accepted for registration through October 21, 2019. Check payment is due ten (10) days from date of registration. Registration fees not paid by early deadline will be charged the current registration rate. You will receive an invoice by email when you submit the registration. Purchase Order – Payment is accepted through October 11, 2019. Please select this option if you are registering with a Purchase Order. Payment is due thirty (30) days from date of registration. Registration fees not paid by early deadline will be charged the current registration rate. You will receive an invoice by email when you submit the registration. Refunds may be requested, subject to a 20% administrative fee, through October 21, 2019. No refunds will be given after October 21, 2019. Exhibit Hall Passes: You must register to enter the Exhibit Hall. Cost is $10 if you pre-register and $15 onsite. Register online for Exhibit Hall Pass or register onsite. Preconference classes for Texas EMS Conference 2019 will be held November 22, 23, 24, 2019. The current class offerings are in the scheduling process but lists will be available with the opening of Attendee registration in May 2019. We have some great options planned for 2019 so check back soon, as many of our most popular classes fill up quickly.